If you take a look at the top part of the continent of Africa on a map, you will notice it is dominated by a vast desert known as the Sahara. This desert is the third largest in the entire world, surpassed only by Antarctica and the Arctic—both of which are cold deserts. That makes it the largest hot desert on earth. Interested in learning more about this amazing place? 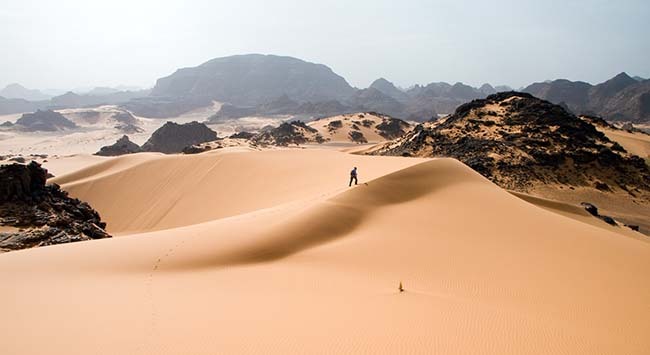 Let’s check out some of the most astonishing facts about the Sahara! 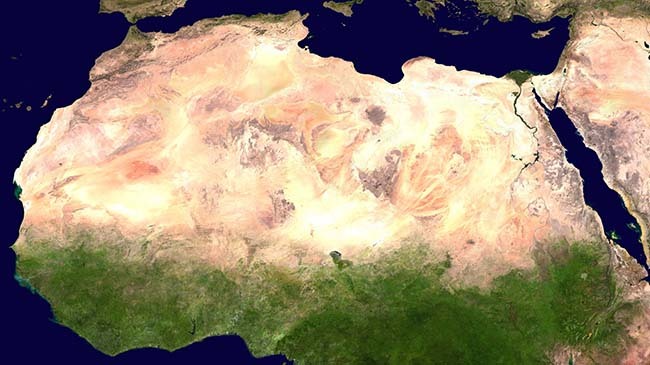 First of all, one of the most astonishing facts about the Sahara is its sheer size. It is estimated that this desert takes up a mind-boggling 9,200,000 square kilometres, which is equal to 3,600,000 square miles. This is around as large as the area of the United States or China. It may be tempting to think that a desert is always hot and dry, but there are many variations in the weather and climate of this one. In fact, there are ongoing shifts in the Sahara desert climate which follow an incredibly long cycle—around 41,000 years. Why 41,000 years? This has to do with a change in the tilt of the earth’s axis between 22 and 24.5 degrees. 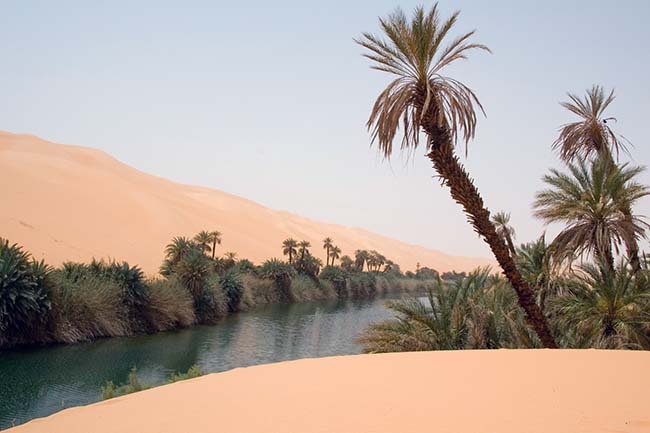 Indeed, in around 15,000 years, the desert should become far more green than it is today. The desert has also experienced greener periods in the past as evidenced by prehistoric drawings in caves which indicate that there was once plenty of plant life where today the land is barren. Areas which today would be un-farmable were at the time fertile cropland. The lowest point in the Sahara is the Qattara Depression, located at−133 m (−436 ft). The highest point by contrast is Emi Koussi, a shield volcano which stands at 3,415 m (11,204 ft). Even the sand dunes in this desertcan soar to a tremendous height. Some reach up to 180 m (590 feet).